It's IWSG Wednesday! 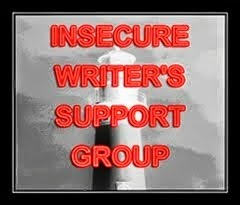 This is April's post for the Insecure Writer's Support Group, founded by Alex J. Cavanagh, so we can release our writerly insecurities into the ether. Two of my favorite historical romance writers released new books this week. Julia Quinn's Because of Miss Bridgerton is a prequel to her Bridgeton Family series, eight books about eight siblings meeting their spouses, marrying, and living happily ever after. Jo Beverley's The Viscount Needs a Wife takes place in the same Regency world as Jo Beverley's Company of Rogues books--a fifteen (or so) book-long series of single-title romance based around a large group of schoolboy friends, now all grown up. Now, Viscount is not another Rogues book, Beverley has said---it takes place in 1817, therefore, it's in the same universe as her Regency historical books, which are all Rogues books. I haven't read the new books yet, but I know there will be a certain familiarity. 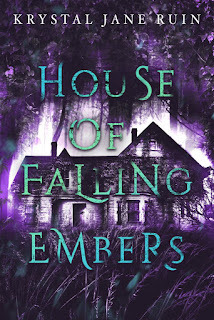 Perhaps because of the influence of these kinds of expansive fictional worlds--(and because I have far too much backstory for my characters), when I scrapped The Keegans of Banner's Edge, I couldn't let it go. Pearl was like, "But you know you want to help me find my brother, miss! Besides, I'm more interesting than Mr. Keegan, begging your pardon." The next thing to be published, coming in late May, is "The Disappearance of Miss Mary Dawkins" in the anthology The Thing That Turned Me--and that, too, is an offshoot of the Keegans and their drama. So, the insecurity? I'm writing a novel right now in a completely different universe, different setting, time period, characters. And that's great! But there are still stories in the Keegans that could be written...so I wonder what readers think about shared story worlds. Do you like them? Do you even pay attention to them? Have you writers written any? I wonder if it's indicative of a large imaginative story universe or...a bit of a crutch? I can't say I've read a lot of books like this. I don't avoid them, I just don't stumble into them very often. I do think it's great when people can have so many stories sprouting up from the same world - I certainly can't. If it's a world I loved, I would totally be interested in going there again and reading about someone else and maybe seeing another familiar character off in the background somewhere! That said, if 25 books later, they are still writing about this world, I'd think they had nothing else to write about. I feel like I'm seeing more and more series and trilogies everywhere. But this kind of thing is super common in romance land and maybe less so in fantasy? I've read *most* of the Rogues (I think there's one or two I haven't read) and they exist in the same imaginary version of the Regency, but the flavor of the book depends on the characters. Yup! Unfortunately, there hard to find outside of Romance for some reason. It's always a series series instead of a true shared world series. I've got one in the worldbuidling and development stage myself, so hopefully I can fix that a little. Ah, that might be it. Yeah, I haven't seen a common story world rather than a more traditional idea of a series outside of romance, come to think of it. Although Diana Gabaldon writes novellas and another book series as spin-offs of the Outlander books, so there's that. Yup. It pretty damn weird. Like, are you really telling me that your alien waitress on that spacestation doesn't have her own story? You're telling me that the MCs best friend isn't story material? I'm not buying that foolishness. Wanting to tell a series of stories about a certain character doesn't mean others in the world are storyless, just that you're not inspired by them as a writer. Own it. There's no shame in preferring to write one sort of series over another, so why act like it? I'd say if you love writing in that world and your books in that world are a success, then go for it! Visiting from the IWSG. They're more like short stories, really. The original novel that they're take from is firmly shelved. But those stories won't be written for a while yet--just a question that popped into my brain. I love it when two story world crossover. Dean Koontz does it frequently, but only in mention or a shared character or 3. I think the story worlds in our heads are meant to cross over. It's the natural progression of thought and readers who love our stories and are invested in their worlds will thank us. I keep thinking of it like a spin-off, but "crossover" is a better way to think of it. Julia Quinn's very funny. The reoccurring Smythe-Smith concerts in her books are hilarious. I haven't read much of any shared world stories that I can think of, but I wouldn't have any problem with it if the story is good. Going back to familiar worlds can be fun.